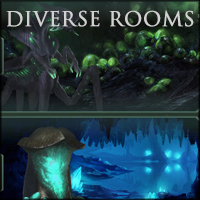 If you wish to play this mod on an older version, follow this link as previously posted by some other players. Project Star Wars: Fallen Republic is the primary focus of the new team made up of a handful of modders, until then this mod is not going to be updated. 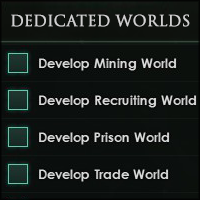 This mod will never be remade into a version compatible for 2.0, at least not by me. To update it would require hours of work taken away from refining the new mod which would be then made pointless by the release of said mod. I'm not a game developper, I did this mod almost all by myself and learned all the code from scratch. I created it for fun, and as cold as it may sound, I owe nothing to anyone here. I simply don't have the time to dedicate to perfect it the way I envisioned. But, with the new team, we can release something that feels far more complete. You'll simply have to wait. Click here for the FAQs and for the default recommended settings. Note from the Author: Patience young padawans. 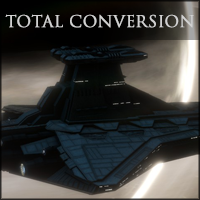 A Star Wars total conversion mod. Note that the current version should still be considered an unpolished. Static galaxy containing approximately 950 systems. Accurate positioning and names for planets. 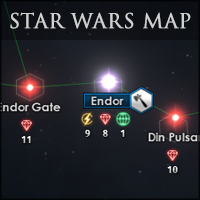 All major and minor hyperlane routes, including Chiss and Hutt Space..
Over 38 Static Empires with accurate home systems. Prethoryn have been renamed to the Yuuzhan Vong. 18 Namelists (Republic, Sith, Jedi, Wookiee, Hutt, Mandalorian, etc). 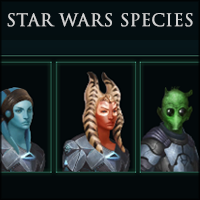 Custom race portraits (Sith, Chiss, Togruta, Twilek and many more). Custom & Random spawn capability. Custom changes to border growth. And many more features. Feel free to suggest what you'd like to see in the comments. Feel free to take a look at this package for compatible mods. Special thanks to Elratie for always being willing to help out and for allowing me to use his wonderful models. Special thanks to tommythunderbolt for more 1.9 fixes to stability and getting shipsets to work. All artwork belongs to their respective owners, in particular Ralph McQuarrie for his concept art. All Star Wars materials is owned and copyrighted by Lucasfilm Ltd.
Sh*t's dope. But why aren't I in it? Decent mod. Missing more Basilisk War droids. Those that do not ensure the Empire's victory will be sent to labour camps. This one will not be updated by me, you can still play it on older version however. 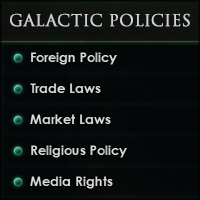 I'm not doing the Fallen Republic one, as I no longer have the time to mod. Oh yeah forgot to ask are they basically putting this mod into their new one? Well if they never update it, is there something one of us can do to update it ourselves? Two very idiotic illiterate people below me. @Zelax It's the new massive project that's been worked on at the moment. @PjilijeV2(FR) You can follow the progress on his Twitter "@swfr_official"